Is Your Household Suffering from Hard Water? Most municipal water supplies throughout the country go through heavy filtration before they reach the taps in your home, and Santa Fe is no exception. If you’re using ground water instead, you likely have your own water treatment system on-site. Still though, there is often something missing from either of these water treatment systems, and that is protection from hard water. What is hard water, you ask? This is the description given to water that contains a high level of minerals in it—namely, calcium and magnesium. They are harmless to ingest, but can do more damage to your plumbing system than you may realize. Fortunately, this problem can be easily resolved with a professional Santa Fe, NM water softener installation! Without this system in place, you’ll likely find yourself facing the following issues—and their consequences—in your home. Don’t worry, this probably doesn’t mean you’re no good at keeping your bathroom clean. Soap scum can actually build up pretty fast when you have hard water present. The reason is the minerals prevent soap from dissolving quickly. This is a symptom of a larger problem though. That soap scum buildup isn’t just happening at the drains—it’s happening inside them, too. You may also notice this buildup around drains, both in the bathroom and the kitchen area. It typically presents itself as a white or yellow residue. Although you can scrape it away from the surface of the drain fairly easily, neglecting the residue buildup within your pipes could leave you scrambling to make a drain cleaning call, or even scheduling pipe repair or replacement. Take a look at your glassware and dishes when they come out of the dishwasher. Do you see water spots? They’re harmless. However they are an indication of hard water presence. 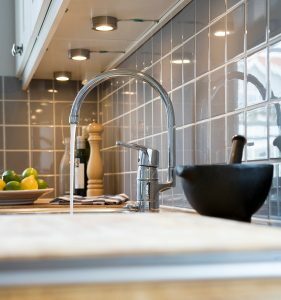 And that hard water could be causing your dishwasher to accumulate damage since the hard water molecules can jam the pipes and make them work improperly, eventually leading to leaks and water obstruction. This one probably sounds a bit vain, but bear with us. This sign shouldn’t be ignored any more than any of the other signs we’re mentioning here, because it’s absolutely and indicator of hard water. The minerals in hard water dilute your shampoo and conditioner, which causes this unpleasant reaction. We discussed the buildup of soap scum above. Over time, this buildup of minerals from hard water will restrict the flow of water going through your pipes. In less time than that, though, hard water can keep water from flowing through your shower head or even your bathtub and sink faucet properly. Hard water mineral buildup clogs the showerhead or the aerator of faucets, which slows water pressure. The same way that soap scum builds up in your bathtub, it can also fail to dissolve completely in your washing machine, which can prevent clothes from rinsing off. Or it can make your clothes stiff after they’ve come out of the dryer. For your water treatment needs, look no further than Roadrunner Air Conditioning, Heating & Refrigeration. Contact us today! « previous post: Can a Tankless Water Heater Malfunction?